Cost: [**CANCELED** Free and Open to the Public. 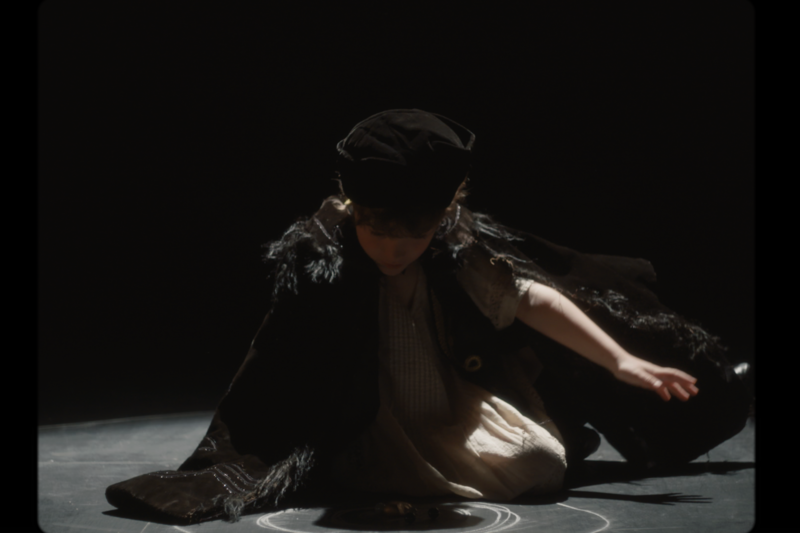 In this fantastical film, a young girl conjures its story from the lines of a chalk circle. Once upon a time, in 1915, a German saboteur arrived to Manhattan to interrupt the export of American munitions to Britain. He soon found a collaborator in a wayward stevedore who unwittingly led him to a group of labor anarchists. Sabotage soon turned these bedfellows into agents of the other's tragic end. How America entered World War I playfully plays out through archival images and the theatrical rendition of lives as they might have been lived. The film's visual style of staged live action material is designed as if it were the playing ground of a child's dollhouse. The film could be said to be the story of the First World War as told by a little girl playing. Any one of its female protagonists could later become anyone's great-grandmother. Continuing her unique aesthetic that combines staged and archival material, this film furthers Crane's investigation into the manner by which fact and fiction unmask each other; an ongoing inquiry into hidden histories held in the archive.